Civil war breaks out among Republican members of the General Assembly, and it ain't patty-cake. The most conservative members are accusing establishment leaders of being no better than jail-bird Democrat Jim Black. Chief accuser of Lewis: Rep. Justin Burr of Albemarle, whose bill to save money on mandated printing ofcourt decisions, got modified by Lewis at the last minute (according to Burr) to protect the financial interests of one of Lewis's donors. The printing contract held by New Bern businessman Owen Andrews is worth, on average, about $350,000 annually, and Rep. Burr's bill would have shut down that money spigot. But businessman Andrews is and has been a dependable donor to Lewis. March 4, 2015: A House judiciary committee signed off on Burr's bill and sent it to a budget committee for further review. June 9: Burr's bill gets removed from the budget committee and referred to the Rules Committee, which Lewis chairs. July 22: With Burr out of state, Rules met to consider changes to the bill, with Lewis leading the meeting. Lewis changes the bill to keep the money flowing to his donor businessman Andrews. Burr's bill next went to the Finance Committee. There, Rep. Mike Hager, a Rutherfordton Republican, House majority leader, and conservative rival to Lewis, returned the bill to its original form, eliminating the mandate for the printing of the court reports. That version passed through that committee and was approved unanimously by the full House, including Lewis, in mid-August. But Burr's bill never passed the Senate. Jump to December 2015: Rep. George Cleveland, a Jacksonville Republican, filed a complaint against Lewis with the General Assembly's Legislative Ethics Committee, dealing with the previous pay-to-play accusations investigation bythe News&Observer -- that Lewis protected the state contract of a company run by Lewis' friend and campaign donor, Rickie Day. Both donors now implicated as favored cronies of Lewis -- Owen Andrews and Rickie Day -- inexplicably got their names, occupations, and/or businesses mis-reported or misspelled in Lewis's campaign finance reports filed with the state Board of Elections, making investigation of pay-to-play activities more difficult. If done deliberately, the misspellings were a juvenile and transparent cover-up. Reps. Burr and Hager joined Rep. Cleveland to form a potent whistle-blowing trio against Lewis. Burr and Hager suggested that discrepancies in Lewis's finance reports "were done intentionally to try to mislead the public about who was giving to his campaign." Rep. Burr said, "Once is an error. Twice is a pattern." "Lewis and Hager, as Rules chairman and majority leader, respectively, are two of the most powerful House members. The fact that they are feuding so openly points to serious divisions among House Republicans. In speaking out against Lewis, Hager cited a need to 'defend the integrity of the caucus'." The feud has broken out into the public and not only in the pages of the state's daily newspapers. 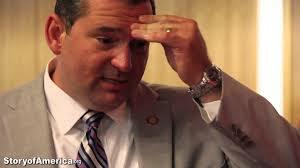 Tea Party blogger Brant Clifton has his longknives out for Lewis (and for also-tainted-with-financial-irregularity-allegations Tim Moore, who is the current Republican Speaker of the House). All of this is not a good look for the North Carolina Republican Party, currently going into a crucial election year.